There has been intense research and development of new gene drive technologies, with the most notable of these consisting of the CRISPR/Cas9 gene drive system. These technologies dramatically increase our ability to use genetic pest management (GPM) approaches that had been proposed decades earlier. Such approaches potentially allow releasing only a few genetically engineered pests to suppress entire populations. Representing the forefront of biotechnology, these tools are being aggressively researched by the biotech industry in the Research Triangle and other areas of North Carolina. While these technologies bring many opportunities, regulators are being presented the challenge of governing novel technologies in an environment of dynamic uncertainty and risk. Inadequate regulatory and risk management frameworks will impede the safe and effective deployment of this technology, will harm the public trust, and ultimately will represent a significant cost to the biotech industry. The reasons for previous public opposition to genetic technologies are complex and have been fueled in some cases by exaggerated claims both for and against these technologies. An opportunity exists now to avoid these previous traps, by building a highly participatory, proactive governance framework. 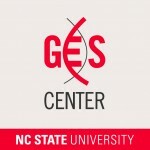 At a broad level, this need has been recognized, with a prior NSF-sponsored meeting hosted by the Genetic Engineering & Society (GES) Center at NCSU and at a recent National Academies report released on the social and ecological implications of gene drives. Yet much remains to be done. 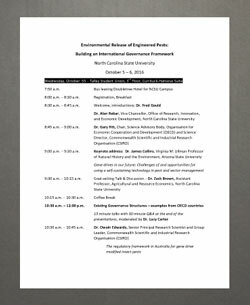 Building on these previous efforts, this workshop, hosted by the GES Center at NCSU and CSIRO in Australia, will address the international dimension of GPM regulation. With many countries evaluating gene drives for solving some of their most vexing agricultural and public health challenges, the time is ripe to discuss common governance principles for regulatory authorities to consider, with an eye towards harmonizing eventual regulatory structures. By minimizing regulatory burden and costs, harmonization would be of obvious benefit to the biotech industry and other potential users of these technologies. Presentation: Regulation of Emerging Gene Technologies in India. 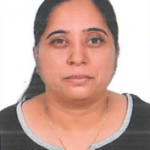 Dr. Vibha Ahuja holds a M.Sc. (Hons.) and Ph.D. in Microbiology from India. She is presently serving as the Chief General Manager at the Biotech Consortium India Limited, an organization promoted by the Department of Biotechnology, Ministry of Science & Technology, Government of India and all India financial institutions. Dr. Ahuja has been working at BCIL since 1993 and has more than 20 years of experience in undertaking the project consultancy in the area of biotechnology, particularly biosafety. She has been dealing with projects connected with biosafety and regulatory aspects with reference to genetically modified organisms (GMOs) and biodiversity conservation. These include undertaking capacity building activities in the area of modern biotechnology related to use of GMOs, imparting training through seminars/workshops/ national and international training programs and preparing well researched publications for various stakeholders related to biosafety issues etc. She has been a part of the process of development of new guidelines in India by the regulatory authorities including guidelines for confined field trials of GE plants, safety assessment of foods derived from GE plants, guidelines for similar biologics and environmental risk assessment of GE plants. She is experienced in issues related to Indian regulatory framework and the Cartagena Protocol on Biosafety and is well versed with relevant decisions/developments. She has also been engaged in implementing biosafety capacity building projects/activities in the South Asian countries viz. Bhutan, Bangladesh, Sri Lanka and Malaysia. Presentation: Preparations in the Au Systems in Handling Engineered Products for Vector Control. Aggrey Ambali is Head of NEPAD Science, Technology and Innovation Hub (NSTIH) at the NEPAD Agency. He oversees programmes in science, technology and innovation, education and health under the human development thematic area. At the NEPAD Agency, he has also served as Director of Policy Alignment and Programme Development; Advisor on science and technology and Coordinator of the African Biosciences Initiative (ABI). In the area of science, technology and innovation, he coordinated the development of the Science, Technology and Innovation Strategy, 2014-2024 (STISA 2024) of the African Union. 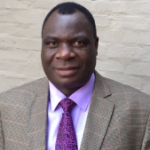 Prior to joining the NEPAD Agency, he served as Professor of Biology at the University of Malawi. Presentation: Regulation of GM insect pests under the Brazilian regulatory framework: present and future. Dr. Andrade is an Associate Professor at the Department of Genetics, Federal University of Pernambuco (UFPE), which he joined in 1983.He is a physicist, with MsC and DSc degrees in Cell Biology and post doc in Immunology and Molecular Biology. His early work included cell differentiation of trypanosomatids, epidemiology and diagnosis of Chagas’ disease and visceral leishmaniasis and the use of recombinant Leishmania antigens for molecular diagnosis of visceral leishmaniasis. More recently his research group was active on the study Leishmania transcriptome and on gene expression in plants, especially sugar cane, soya and beans in various situations of biotic and abiotic stress, using the technique Super-SAGE.From 2006 to 2012 Prof. Andrade joined the National Technical Commission on Biosafety (CTNBio), as a member of the EnvironmentalRisk Assessment Sub-committee, with where he was able able to review dozens of dossiers of environmental release of transgenic plants.He also helped drafting and revising CTNBio regulations and reshaping the Brazilian GMO regulatory framework. Prof. Paulo Andrade participates in the Scientific Committee of the International Life Sciences Institute (ILSI), is a member of the Public Research and Regulation Initiative (IRRP) and a biosafety expert at the Biosafety Clearing House – Brazil. He closely collaborated with the Center for Environmental Risk Assessment and the USDA in capacity building programs. He is the author of papers in peer reviewed journals, of books and book chapters in GMO risk assessment and other subjects related to molecular biology of parasites and transgenic organisms. Presentation: Learning from 7 years of experience in releasing GE mosquitoes. 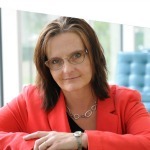 Camilla Beech is currently Head of Regulatory Affairs at Oxitec Ltd; a UK based subsidiary of Intrexon. Oxitec is focused on providing innovative pest control solutions in both public health and agriculture, through the use of genetically engineered (GE) insects. She is responsible for obtaining regulatory permits worldwide for all stages of development of Oxitec’s products, as well as serving on Oxitec’s Senior Management Team. In 2014 Oxitec received commercial biosafety approval for their lead strain of Aedes aegypti mosquito from the Brazilian authorities. 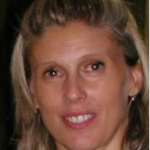 She is therefore at the forefront of the development of regulatory outcomes for GE insects, pioneering the first field releases in Brazil, Panama, Malaysia and Grand Cayman and participating in the development of regulation and guidance for GE insects.Prior to joining Oxitec, Camilla had increasingly senior roles in biotechnology regulatory affairs in Syngenta and its legacy companies holding positions in both Europe and the US. She has over 20 years’ international experience in the regulation of a wide range of novel biotechnology products obtaining commercial regulatory approval for the first GE product in Europe (tomato puree). She also led a global team which obtained registrations for numerous biotechnology products in Africa, Asia and the Americas. Consequently, she has been heavily engaged in debates over the use of GE technologies around the world. 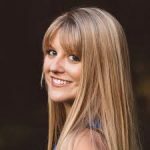 Prior to joining the regulatory affairs world, she spent over 6 years developing plant transformation technology, specialising in biolistic transformation of crops, which built on her academic qualifications from University of London in Plant Science and Plant Pathology. As well as participating in the Cartagena Protocol on Biosafety as a biosafety expert she has contributed worldwide in inter-industry and non-governmental organisations (World Health Organisation, OECD) for risk assessment and regulation of novel biotechnology products. 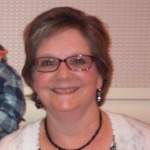 She is a regular speaker at scientific conferences, session organiser at ISBGMO10 and 11 on GE insects/animals and authored several peer-reviewed papers and two book chapters on aspects of GE insects, their safety and regulation. Presentation: Public trust in governance: Pacification or participation? 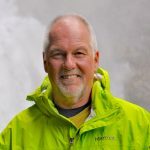 Michael Burgess is a Professor at the W. Maurice Young Centre for Applied Ethics, School of Population and Public Health, with an appointment in Medical Genetics, University of British Columbia. 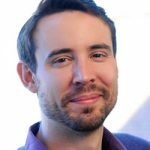 His recent research has been the development of a model for public engagement to inform health and biotechnology policy. This research is in collaboration with Kieran O’Doherty. The model has been used in Australia, Canada and the US, and the most common topic has been biobanks and epidemiology. With Stuart Peacock and Julia Abelson, a hybrid model has been developed for regional and pan-Canadian deliberations on funding decisions for cancer drugs. Presentation: An ethical framework for releasing genetic pest and disease vectors. 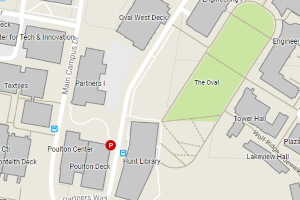 Dr. Carter has a background in applied ethics and international health in developing contexts. She has held roles in research and research management across various domains including biotechnology, public policy and health. 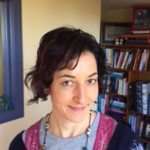 Her current research interests include applied ethics as they relate to: the development and use of novel biotechnologies; and stakeholder engagement approaches. 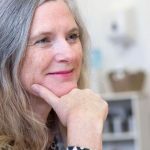 She also spends time investigating food and health systems approaches to health outcomes, especially for vulnerable groups.She currently works as a social scientist at the Commonwealth Scientific and Industrial Research Organisation (CSIRO) in Brisbane, Australia. Keynote address: Gene drives in our future: Challenges of and opportunities for using a self-sustaining technology in pest and vector management. Collins is Virginia M. Ullman Professor of Natural History and the Environment, School of Life Sciences, Arizona State University. His research group studies emerging infectious diseases and their relationship to the decline of species, at times to extinction. Viral and fungal pathogens of amphibians are the study systems. From 2005 to 2009 he was head of Biological Sciences at the US National Science Foundation. Presentation: The regulatory framework in Australia for gene drive modified insect pests. Dr. Owain Edwards obtained a BSc in Zoology from the University of Guelph in 1986. He was awarded his MSc in Entomology from the University of Missouri-Columbia, USA, in 1989 and his PhD in Entomology from the University of California, Berkeley, USA, in 1994. Prior to joining CSIRO in 1998, Dr Edwards undertook postdoctoral studies at the University of Florida and the US Department of Agriculture to study ecological and genetic factors controlling the establishment of natural enemies in classical biological control programs.As a Project Leader in CSIRO based in Perth, Western Australia, his research has focused primarily on the molecular basis of aphid-host plant interactions, leading to board membership in the International Aphid Genomics Consortium (IAGC) and strong collaborations with the Institute of Zoology (CAS Beijing), Kansas State University (USA), INRA Rennes (France) and BGI Shenzhen (China). 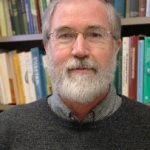 His work on aphids has broadened to examine the molecular basis of all aphid interactions with their environment, including the genetic and epigenetic factors controlling aphid polyphenism and the molecular basis of insecticide resistance. He is now applying is expertise in insect toxicology to lead CSIRO research programmes in genetic pest control technologies, invertebrate ecotoxicology and environmental genomics. Presentation: Lessons from the GE Crop Debate. 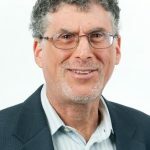 Dr. Doug Gurian-Sherman was the founding co-director and science director for the biotechnology project at the Center for Science and the Public Interest. He has served as senior scientist for Center for Food Safety and as senior scientist in the Food & Environment Program at the Union of Concerned Scientists. Previously, Dr. Gurian-Sherman worked at the Environmental Protection Agency where he analyzed the human health impacts and environmental risk of genetically engineered plants and microorganisms. He also worked in the Biotechnology Group at the U.S. Patent and Trademark Office, and he served as a member of the Food and Drug Administration’s inaugural advisory food biotechnology subcommittee.Dr. Gurian-Sherman is known for his work examining the impacts of genetic engineering, CAFOs, and agroecology. He is the author of the landmark Union of Concerned Scientists report Failure to Yield: Evaluating the Performance of Genetically Engineered Crops. 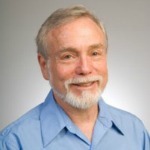 Dr. Gurian-Sherman earned his masters and doctorate degrees in plant pathology from the University of California Berkeley. He conducted post-doctoral research on rice and wheat molecular biology at the U.S. Department of Agriculture laboratory in Albany, California. Presentation: Stakeholder engagement within probabilistic risk assessment for synthetic gene drives. Dr. Hayes started his research career with the Institute of Offshore Engineering, Heriot-Watt University, in 1993. 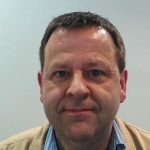 Here he helped to develop quantitative risk assessment techniques for the abandonment and disposal of offshore platforms, and for demersal trawl interactions with subsea well heads and pipelines. 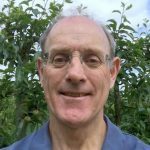 Keith joined the Commonwealth Science and Industrial Research Organisation (CSIRO) in 1997 and completed his PhD in Quantitative Ecological Risk Assessment in 2000. Since joining CSIRO he has led numerous research projects,addressing the ecological risks associated invasive species, transgenic organisms, coal seam gas and mining operations and major coastal developments. Keith is currently a senior research scientist in the CSIRO Division Productivity. 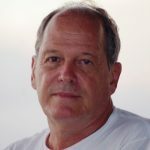 His major research interests lie in quantitative ecological risk assessment methods, cumulative risk, uncertainty analysis techniques, landscape-level strategic assessments, indicators of environmental change and monitoring methods. In 2011 he successful led the National Monitoring and Evaluation theme (Theme 1) of the Australian National Environmental Research Plan Marine Biodiversity Hub, and is currently a member of the Science Leadership Team in the hub’s successor (under the new National Environmental Science Plan). He is currently working on a projects assessing risk and control options for genetically modified mosquitoes, new coal seam gas and mine proposals and commercial shipping in Australia’s Exclusive Economic Zone. Keynote Address: Governance for Engineered Pests in Historical and Systems Contexts. Jennifer Kuzma is the Goodnight-NCGSK Foundation Distinguished Professor in Social Sciences in the School of Public and International Affairs (SPIA) and co-director of the Genetic Engineering and Society (GES) Center at North Carolina State University (NC State). Prior to coming to NC State, she was a faculty member in science and technology policy at the Humphrey School of Public Affairs, University of Minnesota Minneapolis, USA (2003-2013); study director at the National Academies of Science in Washington DC for genetic engineering and bioterrorism (1999-2003); and a American Association for the Advancement of Science (AAAS) Risk Policy Fellow at the United States Department of Agriculture (USDA) (1997-1999). Her recent research includes work on the Alfred P. Sloan Foundation Grant on synthetic biology and risk governance policy processes and tools; an National Science Foundation (NSF) grant for an international, deliberative workshop on gene drive technologies and the ecological and societal aspects of their application to pest and disease management; and an NSF research grant for exploring meanings of responsible innovation in different communities and organizations involved in genetic engineering debates. She has over 100 scholarly publications on emerging technologies, particularly biotechnology and nanotechnology, and governance. She engages in national and international policy conversations surrounding genetic engineering, biotechnology and nanotechnology issues and currently serves on the National Academy of Sciences, Engineering and Medicine (NASEM) Committee on Future Biotechnology Products and Opportunities to Enhance Capabilities of the Biotechnology Regulatory System and the Council on Agricultural Science and Technology (CAST) Committee on Gene Editing. She has held several leadership positions, including the Society for Risk Analysis Council & Secretary, Chair of the Gordon Conference on Science and Technology Policy, the Food and Drug Administration (FDA) Blood Products Advisory Committee, and the United Nations World Health Organization, Food and Agriculture Organization (WHO-FAO) Expert Group for Nanotechnologies in Food and Agriculture. In 2014, she received the Society for Risk Analysis Sigma Xi Distinguished Lecturer Award for recognition of her outstanding contributions to the field of risk analysis. She has been called upon in national media for her expertise on genetic engineering, nanotechnology, and biotechnology policy issues, including recently in the Washington Post, Scientific American, New York Times, 2015 World’s Fair exhibit, Nature, and National Public Radio. Prior to moving into public policy and social science in 1997, from 1986 to 1997 she was a natural scientist doing research in microbiology, biochemistry, and molecular biology. She holds a patent for the discovery of bacterial isoprene emission from her Ph.D. work in biochemistry, and her postdoctoral work in plant molecular biology resulted in a publication in the journal Science. Presentation: Models of community engagement for field testing and release of engineered organisms. 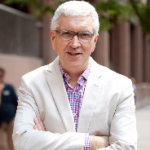 Jim Lavery is a Research Scientist and Managing Director of the Centre for Ethical, Social & Cultural Risk at the Li Ka Shing Knowledge Institute of St. Michael’s Hospital, and an Associate Professor in the Dalla Lana School of Public Health, Institute of Medical Science, and Joint Centre for Bioethics at the University of Toronto. Jim received M.Sc. and Ph.D. degrees from the Institute of Medical Science and Centre for Bioethics at the University of Toronto and held a post-doctoral fellowship in applied ethics and health policy at the Queen’s University Health Policy Research Unit. Jim then spent 3 years at the Fogarty International Center, and Warren G. Magnuson Clinical Center Department of Clinical Bioethics, at the National Institutes of Health in Bethesda, Maryland. Jim was the co-principal investigator of the Ethical, Social and Cultural (ESC) Program for the Bill & Melinda Gates Foundation’s Grand Challenges in Global Health initiative from 2005-2015. He is currently leading the development of a global “Learning Platform” for community and stakeholder engagement to support funders and implementation partners in global health and global development, in partnership with the Bill & Melinda Gates Foundation. 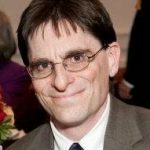 In November, 2016 Jim will begin a new appointment as the inaugural Hilton Chair in Global Health Ethics in the Hubert Department of Global Health in the Rollins School of Public Health at Emory University in Atlanta, Georgia. Presentation: GM insect regulation in Europe. 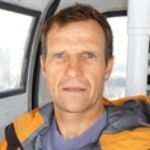 John Mumford is Professor of Natural Resource Management in the Centre for Environmental Policy, Imperial College London. His background is in entomology and agricultural economics. He has experience of design and evaluation of area-wide insect management, particularly sterile insect technique and mass trapping of insect pests, and in programs developing cultural and biological control methods suitable for smallholder farmers. He works on risk and uncertainty in the environment, and chairs the non-native species risk analysis panel that advises government agencies in Great Britain on invasive species management. He has provided risk analysis guidance in working groups on GM insects for WHO, FNIH and EFSA and in European research projects on agricultural pest risk analysis for both intentional (bioterrorism) and unintentional (trade related) introductions. Presentation: Regulation of Genetically Engineered Organisms by USDA-APHIS. Alan Pearson is a Branch Chief in Biotechnology Regulatory Services/Animal and Plant Health Inspection Service at the United States Department of Agriculture, where he works on issues related to the regulation of environmental releases of genetically engineered organisms. From 2004 – 2008, he was Director of the Biological and Chemical Weapons Control Program at the Center for Arms Control and Non-Proliferation. Previously, he worked on biodefense issues at the US Department of Homeland Security, Science and Technology Directorate as a Global Security Science and Technology Policy Fellow of the American Association for the Advancement of Science and the Nuclear Threat Initiative. He received a Ph.D. in biology from the Massachusetts Institute of Technology and was a Research Fellow at the Massachusetts General Hospital/Harvard University School of Medicine. Presentation: International lessons from genetically modified crop adoption and regulation: an Asian perspective. 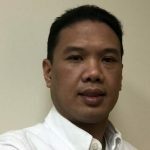 Roderick “Rod” M. Rejesus is an Associate Professor and Extension Specialist in the Department of Agricultural and Resource Economics at North Carolina State University. He received his Ph.D. in Agricultural Economics from the University of Illinois at Urbana-Champaign. Dr. Rejesus has an active research and extension program that focuses on applied production economics, with special emphasis on crop insurance issues and economic impact assessment of agricultural technologies and policies. Specifically, his impact assessment work has included extensive evaluations of Bt corn in the Philippines over the years. Other agricultural technologies/policies he has evaluated are precision agriculture techniques, integrated pest management farmer field schools, and water-saving irrigation management. Presentation: Spanish Commission on Biosafety: Strategy & challenges in assessing a trial with GM olive fly. Dr. Ghisleri has worked at the Spanish Department of Environment since 1989. She currently works as a scientific and technical advisor for the National Institute for Agricultural Research and Food Research & Technology. Before that, she was a hired researcher by the Veterinary Medicine of the Complutense University of Madrid. The job carried out during these years at the Spanish Department of Environment and currently at the Ministry of the Agriculture, Food and Environment is focused on the ‘Environmental Risk Assessment and Management of the Genetically Modified Organisms.’It includes the following functions: Member of the Spanish Commission on Biosafety since 1993, participation as Spanish expert at the EU negotiations of legislation on Biotechnology, participation at the EU Expert Committees and working groups for the implementation and technical developments of the biotechnology directives, technical advisor for the implementation and the development of the administrative procedures of the Biosafety Regulations and the environmental risk assessment methodologies for GMOs in Spain, participation in other International Fora: OECD Working Group on Biotechnology, Council of Europe and the United Nations Environmental Program, Drafting of risk assessment evaluations reports for EFSA applications and collaboration with the EFSA GMO Panel in the environmental risk assessment of GMO Applications, EFSA Ad-hoc Expert: Member of the Sub-Working Group on ERA Guidance Document of the EFSA GMO Panel (2008 -2010) and the WG of post market environmental monitoring reports (PEMP) reports (2011-2012). Presentation: Challenges in the governance in the engineered life: Research policy, innovation dynamics and the politics of progress. 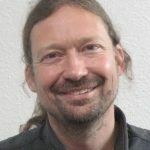 Professor Stirling is a transdisciplinary researcher at SPRU at Sussex University, where he codirects (among other projects) the STEPS Centre (on ‘pathways to sustainability’). With a background in astronomy, archaeology, social anthropology and the environment and peace movements, he works on challenges around ‘opening up’ more democratic governance of knowledge, research, science, technology and innovation. This involves wrestling with issues like: uncertainty, precaution, skepticism, sustainability, resilience, diversity, transformation, progress, participation and power.Andy has served on advisory bodies for the EU on Energy Policy, Science in Society, Collaborative Research, Sustainability and Science Governance; for the UK government on toxic substances, GM crops, public engagement and science advice; and working groups of the Royal Society, Nuffield Council, UN IHDP, Global Energy Observatory, Demos and the Green Alliance. He’s served on boards for several academic journals, for Greenpeace International, Greenpeace UK and on the Research Committee of the ESRC. Presentation: Biosafety management of genetically modified insects in China. Dr. Wu’s research focuses on biology and management strategies of cotton insect pests, including migratory biology, integrated pest management strategy of cotton insect pests, impacts of Bt transgenic cotton on evolution of pest status in agricultural ecosystem, and insect resistance management strategy of cotton/pink bollworm to Bt cotton. These IPM/IRM strategies, in applying the principles of agro-ecology and moving towards the concept of a sustainable agriculture, have been widely used for insect pest management in Chinese agricultural system, which play very important roles in reducing the utilization of insecticides and farming risk, and improving economic output of cotton in China. He received three awards at the national level for his contribution to agricultural science, and published more than 200 academic articles in scientific journals including Science and Nature.